When Vinnie's Pizzeria unleashed the insane pizza that's delivered in a box made of more pizzas a couple weeks ago, even its creator admitted to not knowing exactly how you'd go about biting into the doughy monstrosity. 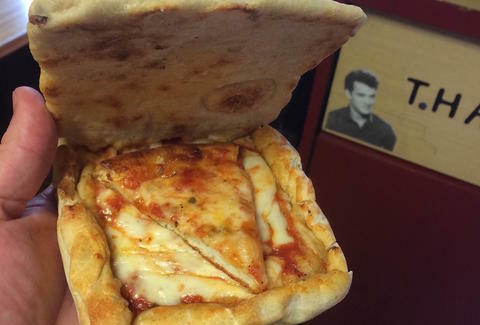 But now, its appears that the marinara maniacs over at the Brooklyn-based shop have created a new, user-friendly version of the "Pizza Box Pizza," featuring pizza that's served in a box made of more pizza -- just smaller. And just like its big brother, the miniature version is beautiful and crazy and, well, we want one. Or three. Of course, that would literally be the cheesiest marriage proposal ever, but then again, the grease might help slide the ring on, right? Obviously, someone has to try this now (please send us the video and photos). But seeing as the larger version is basically two whole pizzas covered by a big garlic bread lid, the mini version might make sense (keyword: might) if you want to get your mouth on the pizza everyone's talking about, without having to worry about them trying to deliver the giant thing sans cardboard box and potentially exposed to the delicious New York City elements. You'll just have to get over how damn cute it is before stuffing it into your face. 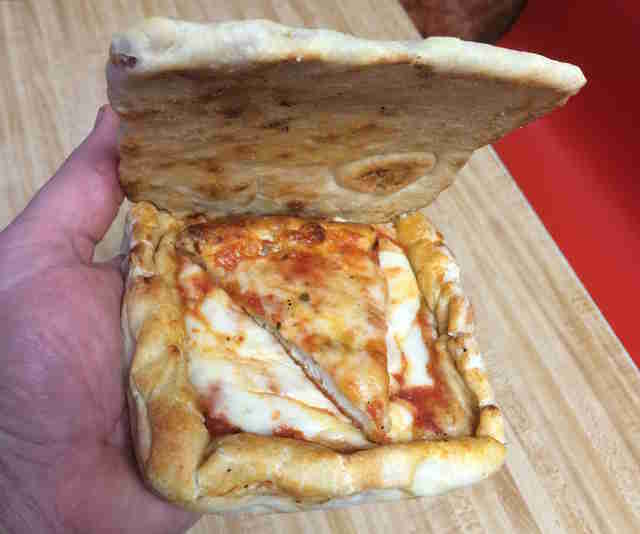 Tony Merevick is Cities News Editor at Thrillist and would probably choose this mini pizza box pizza over the full size one. Send news tips to news@thrillist.com and follow him on Twitter @tonymerevick.